Watches are kind of like checkbooks: You get the sense that having one is a requirement for being a real adult, yet you really don't know what you would use it for. 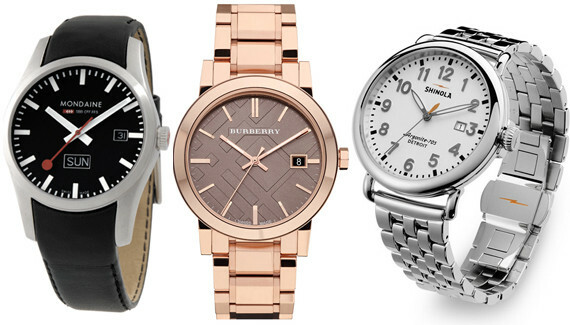 Men may not need watches to tell time these days (thanks, iPhones). But that means guys can actually have fun with their timepieces. Since it's there as a pure accessory, use your watch to make whatever style statement you want. Fancy yourself sporty? Smooth? Rugged? 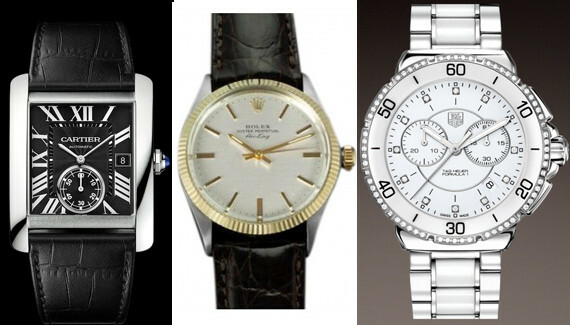 There are high-quality men's watches out there in every style and at every price. You don't need a Rolex to prove your manhood -- a nice Skagen will do. Our favorite picks below, at every price. 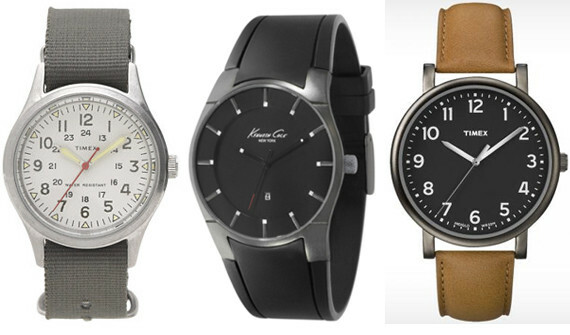 Timex For J.Crew Vintage Field Army Watch, $98; Kenneth Cole Gunmetal Watch with Black Strap, $95; TIMEX Originals Classic Round, $65. 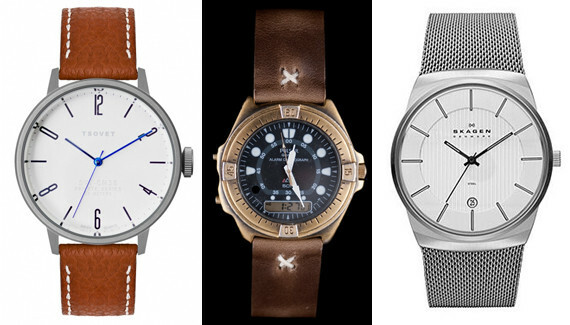 Tsovet SVT-CN38, $200; Throne Watch #397, $150; Skagen Classic Steel Mesh Men's Watch, $125. 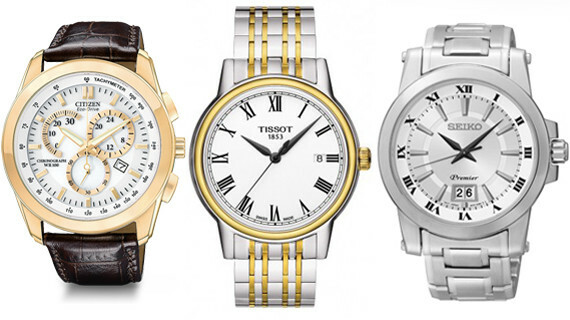 Citizen Eco-Drive Men's Chronograph AT1183-07A, $325; Tissot Carson Men's Quartz Watch with Two-Tone Bracelet and Roman Dial, $395; Seiko Quartz Sapphire Crystal, $375. Mondaine Retro Gents Day Date, $579.99; Burberry Large Check Stamped Bracelet Watch, 38mm, $695; Shinola Runwell 41mm, $700. Cartier Tank MC, $6,600; Rolex 1972 Vintage Mens 2-Tone Air King Watch, Ref. 5501 Stainless Steel and Gold, $2,415; Tag Heuer Formula 1 Steel Ceramic and Diamonds Chronograph 41 mm, $3,100.